Following our previous article about our amazing API solution, we decided to make this article for the rest of our users and SEO community that don’t have their own SEO tool but still want to blow the competition out of the water and appear established and professional to their current and future clients. So stick around, because today we will show you one amazing hack to get you your very own branded SERP tracker for a fraction of the price and none of the expertise required! So… SEO is a tough business. The market is very saturated with SEO experts and agencies all fighting for a piece of the pie. Many don’t have their own SEO tool with rank-tracking capabilities simply because they can’t afford to develop one, and there’s a very good reason for that. If you’ve ever tried to explore this option, you probably know by now what a money pit it can become. Not only do you need to hire programmers to develop the tool, but you also need to pay pools of money to maintain the tool. Not to mention the time it would take to perfect the code and UI. Now let’s say you did somehow manage to secure an investment or acquire the funds; another major deterrent is the difficulty of developing efficient methods of fetching real, accurate ranks. Trust us, we’ve been around for more than 6 years and have focused solely on rank tracking. We know all about the pitfalls and investments it requires to perfect this ability. Getting partially accurate ranks just won’t cut it in today’s SEO market. The way Google is nowadays, the difficulty levels and complexity of rank tracking are higher than ever and only bound to increase as personalization takes more evolutionary steps. And we’re not even talking about the major updates that happen that change the playing field forcing you to adapt your code and methods, otherwise, rank tracking can become off kilter. Thus, developing your own tool can become a counterproductive endeavor. But what if we told you there exists a solution on the market where you can still have your own branded SERP tracker and not a spend a penny developing one? An entire SERP tracker all ready and waiting for you to use its powers to grow and level up to heights beyond your expectations. And believe it or not, it will not even be expensive. In fact, you will be amazed by how affordable it is. Well, you are looking at this solution right now. Pro Rank Tracker has been designed to be anyone’s tool. We are effectively the ONLY 100% white label SERP tracker on the market. And in this tour we will show you with screen shots and even online examples of how YOU can turn PRT into YOUR tool, with your logo on it and no mention of PRT’s existence anywhere! So stick around. Sending SEO ranking reports is one of the ABCs of being a true SEO professional who respects clients and cares about their progress and the money that they invest in your skills. Keeping the clients in the loop gives them a sense of security, adds transparency that is often missing with some SEO experts. Best of all – it shows them you have enough confidence in your skills that you don’t need to act all shady and mysterious, as if SEO were some sort of ancient witchcraft passed down to you from your grandfather via a secret ritual in the woods. 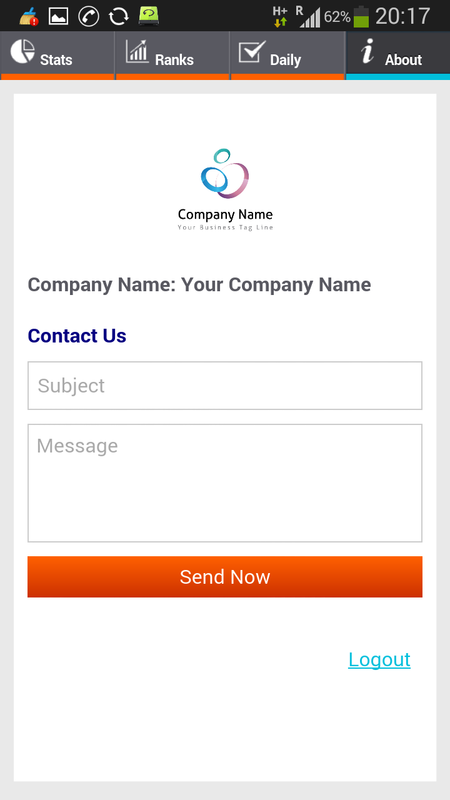 So, every one of our 12 report types that you can generate can be branded with your logo and set to be sent through YOUR email address. Our reports are highly customizable and can either be very simple to understand for those SEO-clueless clients, or highly advanced and showing many types of ranking data for the more SEO-savvy clients. Here is a sample report for you to download and check out. 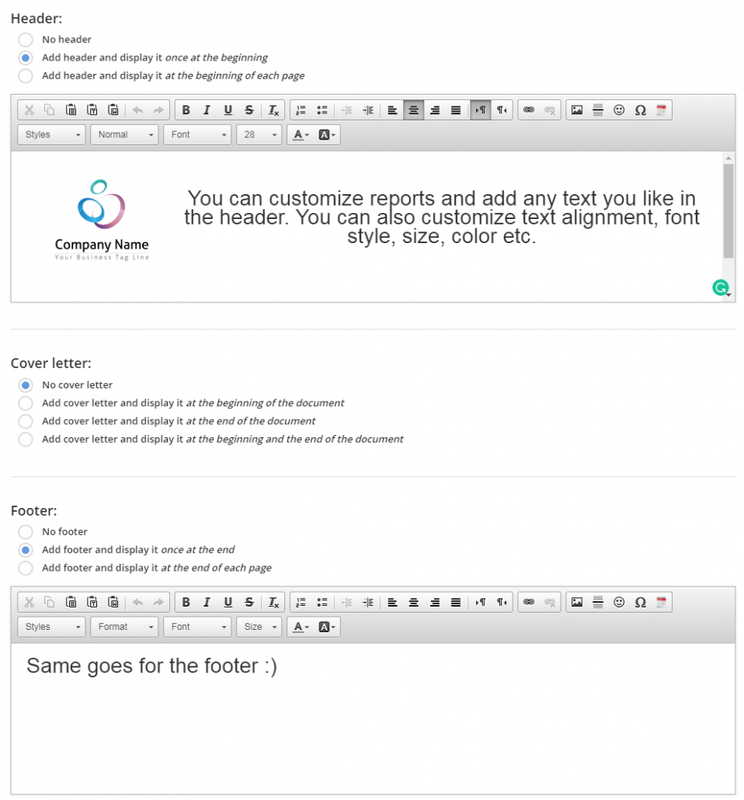 You can also style the color schemes of every element in the report to fit your logo. 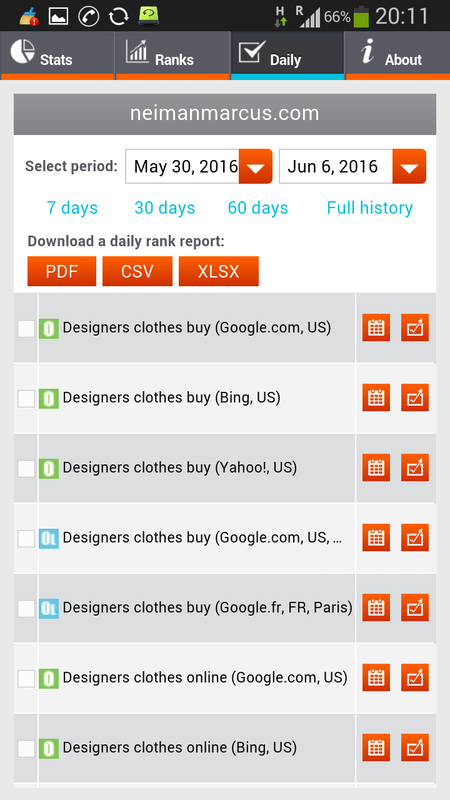 And you can create as many different report templates as you like to fit as many clients as you need! And here’s another cool perk to brag about – you get an UNLIMITED amount of reports that you can generate. That’s right, no pesky counter ticking away, and no pressure. We want you to experiment and find the report that best suits you, your clients and your colleagues. Full control over what data is shown and how many details you want to include, down to the last point. Includes advanced daily graphs that can incorporate specific notes on each rank. Choose the report’s language. In case you have a non-English-speaking client, you can set the report to Danish, Dutch, French, German, Italian, Japanese, Portuguese, Spanish, Swedish and Turkish! 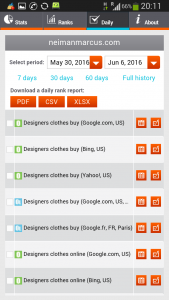 Unlimited amount of shared reports that can be generated. The best way is to simply show you how it looks and feels. Check it out! The password is ‘shared‘. Step 3 – Turn Pro Rank Tracker to [insert company name] Tracker! Now we’re really taking it up a notch. With PRT’s sub-accounts, you can replace PRT’s logo with yours effectively giving the impression PRT is YOUR rank tracker! 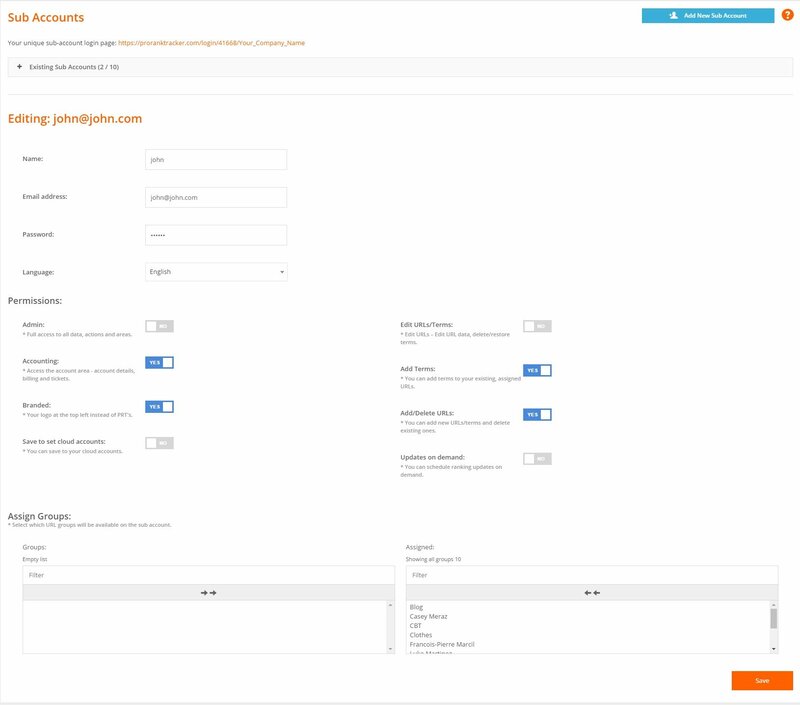 Sub-Accounts are child PRT accounts with exactly the same features and abilities of the parent account, with the only difference being they are controlled by the parent account and set with a unique username and password that is different than the prime password. The beauty here is the Sub-Account can also be parked on your domain, adding to the white-label X factor, solidifying it further as YOUR technology. And in case you are wondering, if you use this feature, there is no mention of PRT anywhere. We don’t require any mentions, or any small print at the bottom of the page saying this is us. We are completely backstage on this one, and we do it with pleasure because we want to power your brand and help you grow just as much as we want to give you the best possible rank-tracking results. Other than impressing clients, sub-accounts are a great tool in general for delegating tasks to your team and can improve workflow tremendously. Currently the most inexpensive monthly plan available on the market. The final step. 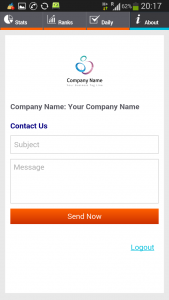 Our most popular and highly acclaimed feature – MyRanks client app. This will give your business that extra boost that will take your branding game even further than having your own SERP tracker! Unlimited amount of MyRanks accounts! 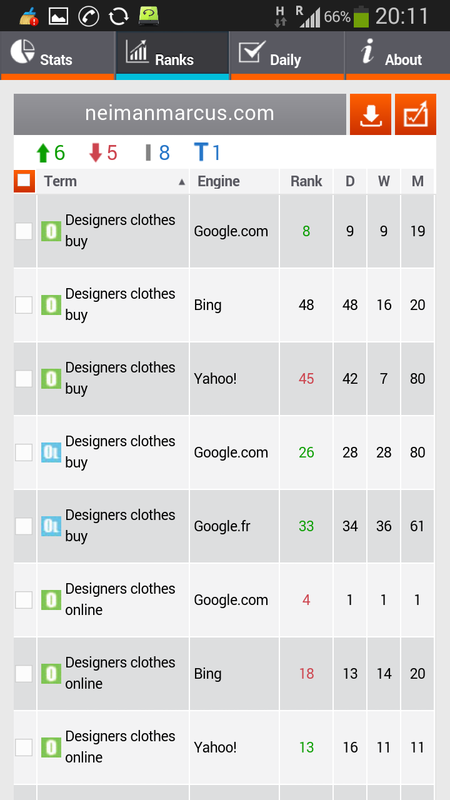 SEO agencies that have their own SERP tracker, rarely have a complimentary app in addition to their tool. Basically this is something that can help you stand out even among businesses that have their own tool and are far bigger and more established than you. You will have something amazing for your clients no one else has. This step completes our guide on how to effectively have your own advanced SERP tracker. After completing the 4 steps, you will be set and ready to go and close some new clients! Having your own tool is a major factor in impressing clients. An impressed client is easier to close than a skeptical one. We have countless user stories to back it up. It projects a sense of luxury, and most importantly of all shows that you are an established brand. Appearing big and established adds a layer of confidence to the negotiation and helps make deals happen. Believe it or not, even huge companies such as Google used similar tactics for their branding, even when they were already worth billions! What we’ll reveal here, if used correctly, will help you even more than having your own tool. You will be able to bring value to the table that probably no one else besides you ever did. Like we said, rank tracking is all that we’ve been doing since our establishment. Needless to say we’ve gotten quite good at it and invested countless hours and dollars to make it work virtually flawlessly. We became so good at monitoring Google’s smallest changes and adapted such fast response mechanisms, that we are the only ones that can say with full confidence that we are practically 100% accurate 100% of the time. With our extensive experience in rank tracking and constantly polishing our algorithms come some powerful abilities that can be developed only through deep specializing. We can track Google like no one else can. With PRT, you can track specific ranks by tens of thousands of exact Google geo locations around the globe. Down to Neighborhood and Airport ranking-level resolutions. We can also distinguish between ranks based on a person’s UI language, which is very valuable to anyone with translated pages and international versions of their websites. 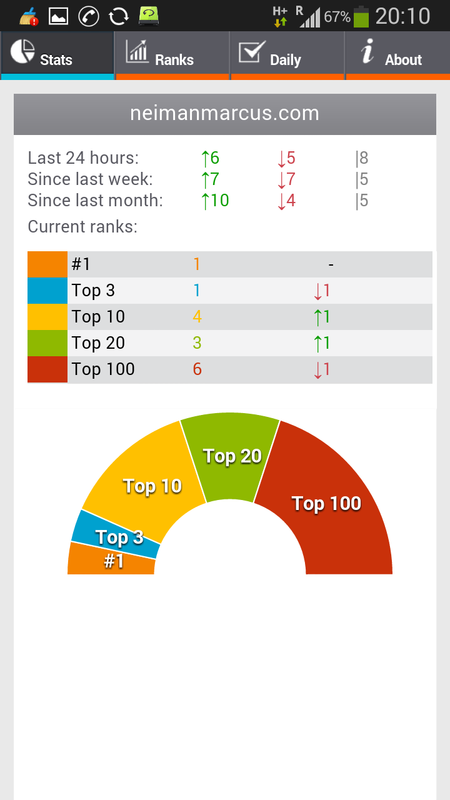 PRT is the only rank tracker on the market capable tracking Google ranks by mobile OS and screen type! We keep improving staying ahead of the curve. Distinguishing between desktop ranks and mobile ranks is something other tools offer, but none of them can separate mobile ranks by OS type and screen size. This alone can help you close certain high end clients that might require it. Track specific Google SERP elements such as Snack Pack, extended top 100 map business results by exact geo location, and the video carousel. We guarantee the freshest ranks you can find.We get ranks once a day automatically and can fetch ranking data up to 3 additional times on demand. This can help you land clients that are in blogging, eCommerce and news, since their websites might get crawled every few minutes. 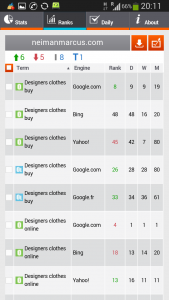 Widest search engine coverage – besides Google we also track Bing, Yahoo!, Yandex, YouTube, and Amazon, expanding your potential clientele even further. Fast response to major Google updates making sure the ranks you get are accurate. While others might take days and even weeks to adjust their system to a Google update, our track record shows hyper fast adaptability sometimes within minutes. We even predict updates at times avoiding inaccuracies altogether. With all these features for our prices it should become evident just how much cheaper using PRT as your tool is vs. developing and maintaining your own. In fact, several of our users that have been with us for several years, chose to keep using this solution even after becoming prominent and profitable SEO agencies, since it is so effective. So level up your game today! Start here. Do your market research thoroughly and search the internet well. We want you to have no doubts placing your trust with us. See if you can find a SERP tracker that offers our rank tracking coverage for a lower price per tracked term. If you manage to find one, tell us about in the comments below and we will have a reward for you! Don’t forget to subscribe to our blog if you haven’t already and get updated with the latest guides and tips on rank tracking and search engine lore. PRT is an industry-standard SERP tracker that gained more than 50k users without investing heavily on marketing. We did it by simply being good at what we do, providing high quality and value to our users and spreading organically through word of mouth. Join the most technologically advanced and future oriented SERP tracking tool with a special 7-day free trial. And here’s another thing you won’t find anywhere else – we don’t ask for your credit card info for our free trial. The word “free” actually means free in this case. The reason is simple – we are confident in our tech and we don’t feel the need to trap our users and scalp profits with shady auto-renewal traps. After you’ve experienced what real SERP tracking is like, feel free to recommend us via our affiliate program and enjoy an awesome monthly recurring commission!